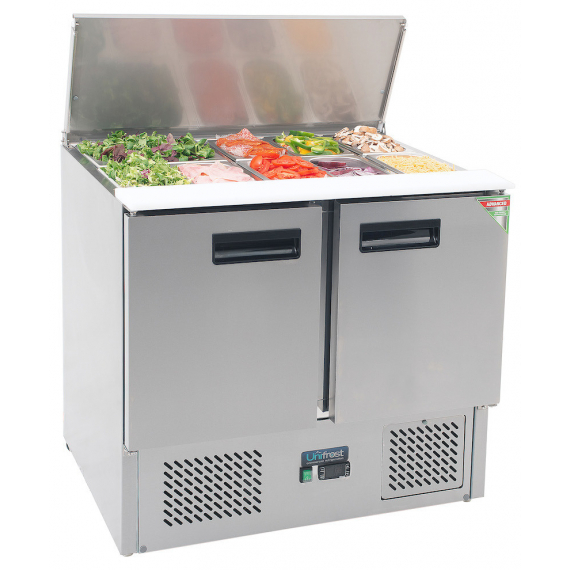 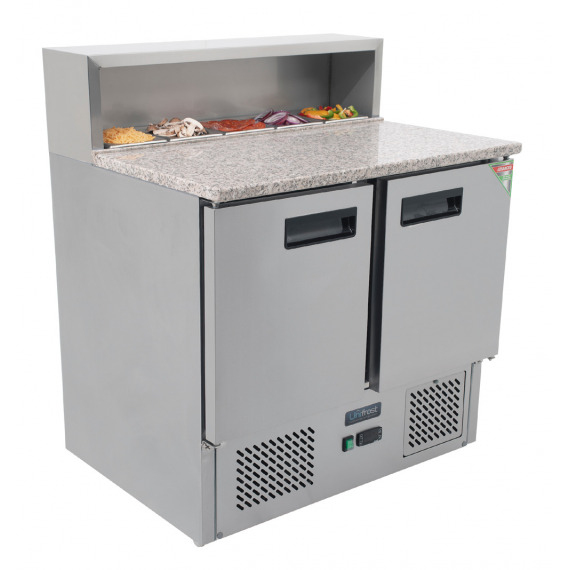 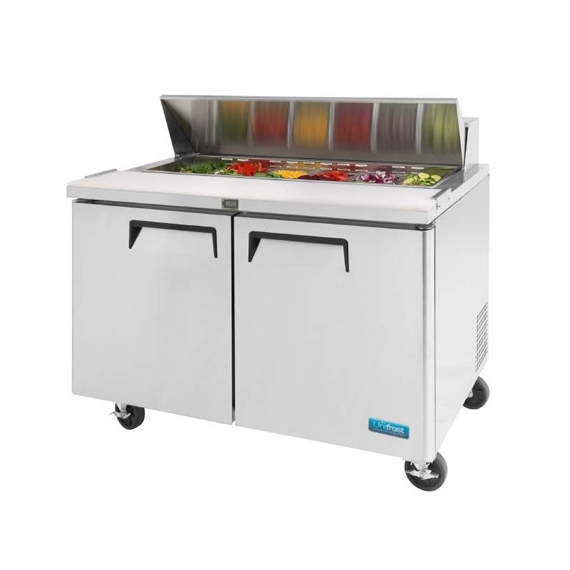 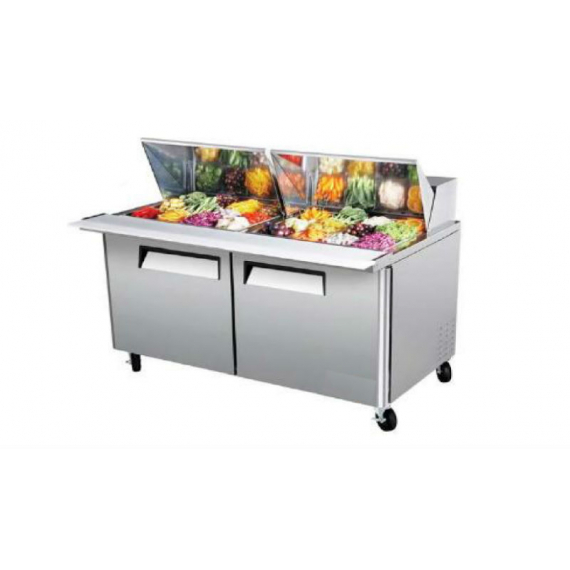 Dual zone for salads, cooked meats or sandwich prep chiller. 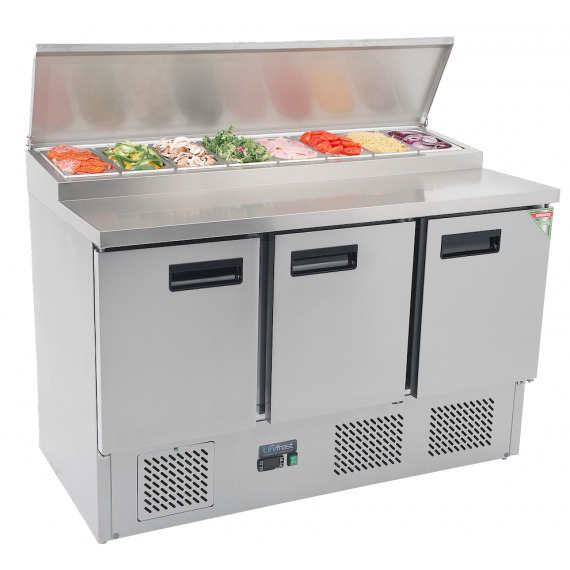 Stainless prep counter for pizza, salad & meats. 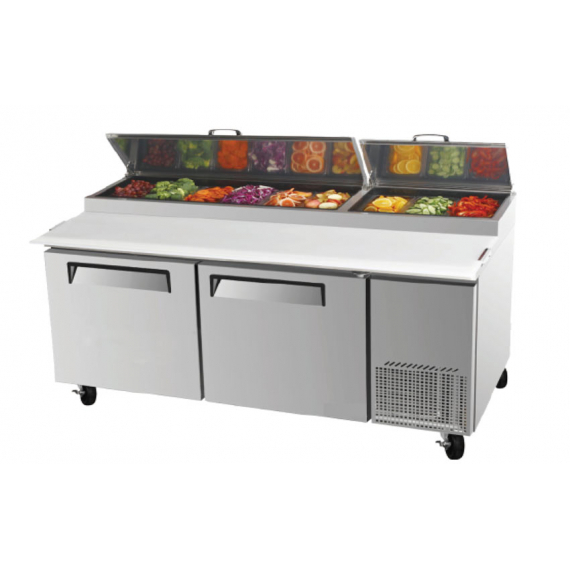 Versatile, spacious counter with smart cooling top section.